If you have been arrested for your fourth (or more) DUI, it is a felony charge regardless of how much time has elapsed between your last conviction and your present arrest. A fourth (or more) DUI is always a felony. You need dedicated and experienced attorneys to help and guide you through your felony case. The attorneys of Finebloom, Haenel & Higgins are prepared and ready to defend your felony DUI case!! What is the maximum amount of jail for a fourth DUI? A fourth (or more) DUI carries a maximum sentence of five years. If you are sentenced to more than one year in jail, you will be sent to prison. A felony DUI is punishable by up to five years in the Department of Corrections!! This means you can be sentenced and housed in a prison facility anywhere in the State of Florida. Can I ever drive again if I am convicted of a fourth time DUI? If you are convicted of a 4th DUI, your license will be permanently revoked!! This means you will never be able to have driving privileges in the State of Florida ever again. At this time there is non provision for a hardship license for anyone convicted of four or more DUIs. Are there any fines for a 4th DUI? There is a minimum mandatory fine of $2000. This can be increased up to $5000 if the judge so chooses. Do I still have to be placed on probation for DUI School? If you are convicted of a fourth DUI, you will have to attend and complete DUI School and any recommended treatment. Whether or not you are placed on probation, and for how long, depends on the length of your jail sentence. Because of the severity of the punishment it is essential that you have an experienced attorney to help you challenge a felony DUI arrest. In addition to the DUI penalties, a conviction of a felony DUI gives you the status of a convicted felon. This means the loss of voting rights, some type of licenses and sometimes your job. If you live in a housing community, a felony conviction can also disqualify you from approval with the home owner’s association. This can mean loss of your home. Do not take this charge lightly! Any type of Felony DUI charge requires a specialized and knowledgeable defense. 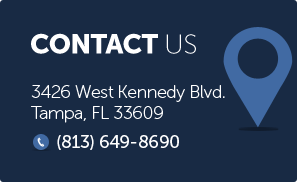 Call us now at 813-200-4421 and let our experienced staff fight for you! We are available 24 hours a day 7 days a week to discuss your defense with you.